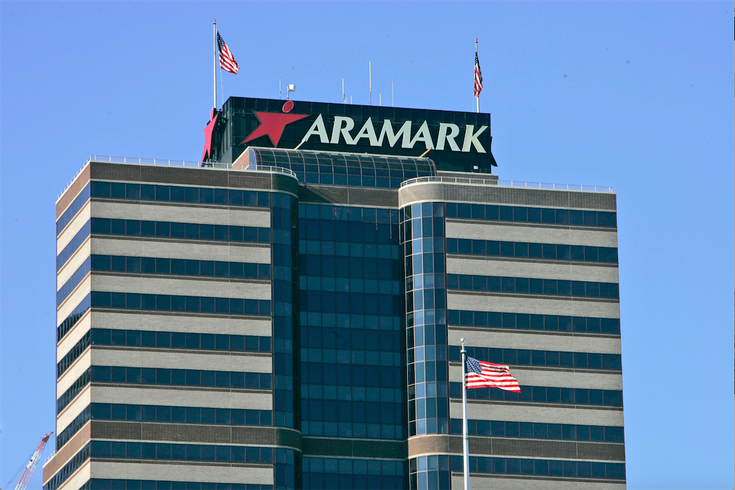 The Aramark tower – with a Jefferson logo on top? You bet. Thomas Jefferson University and its affiliated network of hospitals announced Friday that it plans to consolidate its corporate services – housed in various city locations – into one central headquarters at the 32-story tower on 1101 Market St.
Aramark is set to leave the soon-to-be-renamed Jefferson Tower next year for a new headquarters on 2400 Market, along the Schuylkill River Trail. The food-service giant has occupied the tower for three decades. Under a 16-year lease, Jefferson plans to occupy 14 floors as of Jan. 1, 2019, with an option to expand to another six floors. Departments like human resources, finance, facilities, marketing and others will begin moving into the building over several years starting in late 2019, the university said. The university and its hospital network have expanded significantly over the last several years, growing its network from three to 13 hospitals across the tri-state area since 2013. That four-year span also included a merger with Philadelphia University, which was finalized last summer. The new university operates under the Thomas Jefferson University name and is now the fifth-largest university in the city. "This is an important operational move in terms of reducing costs and integrating critical support functions. It will enable Jefferson to support our expanding network, and ultimately best serve our patients and students,” Peter DeAngelis, Jefferson's executive vice president and chief financial and administrative officer, said in a press release. Because the tower is owned by the Estate of Stephen Girard, its rental revenue helps fund Girard College, the North Philadelphia boarding school that provides free education to students from single-parent families.